Physically difficult, but bring on the actual expedition! 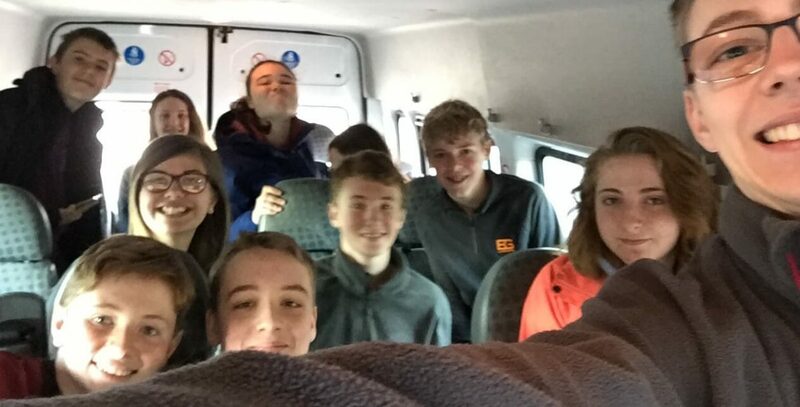 On the weekend of Saturday 15th and Sunday 16th April, the squadron attended a Duke of Edinburgh’s Award Bronze and Silver Practice Expedition. The squadron was joined by cadets and staff from 156 (Kidderminster) Squadron and staff from 2488 (Kingswinford) Squadron. 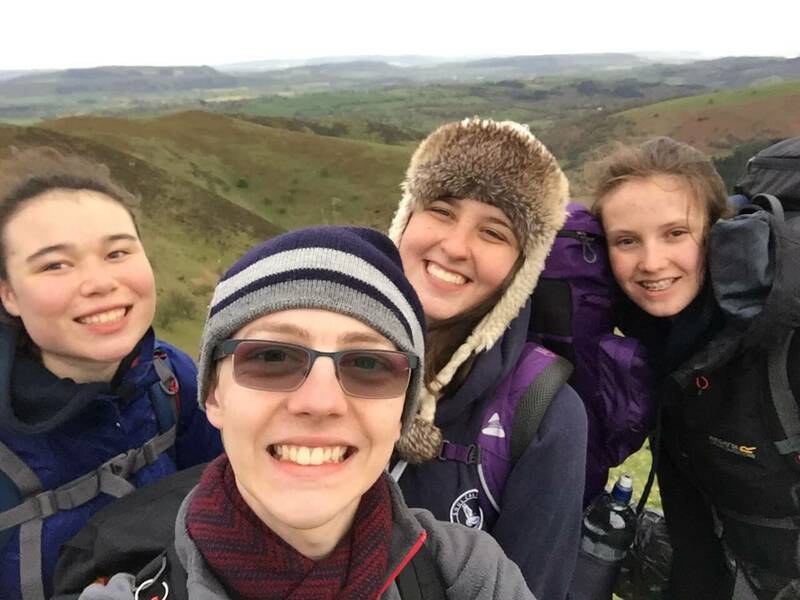 I, Cadet Warrant Officer R. Phillips, Cadet Flight Sergeant C. Weetman and Cadet Corporal C. Walthorne did our Silver DofE Practice Expedition along with three cadets from 156 (Kidderminster) Squadron. The weekend was really difficult physically and the group had some issues, to begin with. Luckily, with Cadet Corporal C. Walthorne’s fantastic map reading skills, we were soon back on track and didn’t get lost once over the whole weekend. Below: Cadet Flight Sergeant C. Weetman, Cadet Warrant Officer R. Phillips, Cadet Corporal J. Tucker and Cadet Corporal C. Walthorne. The first day was really challenging and there were a lot of hills to walk up and down. On the evening, we set up our tents and cooked our food. 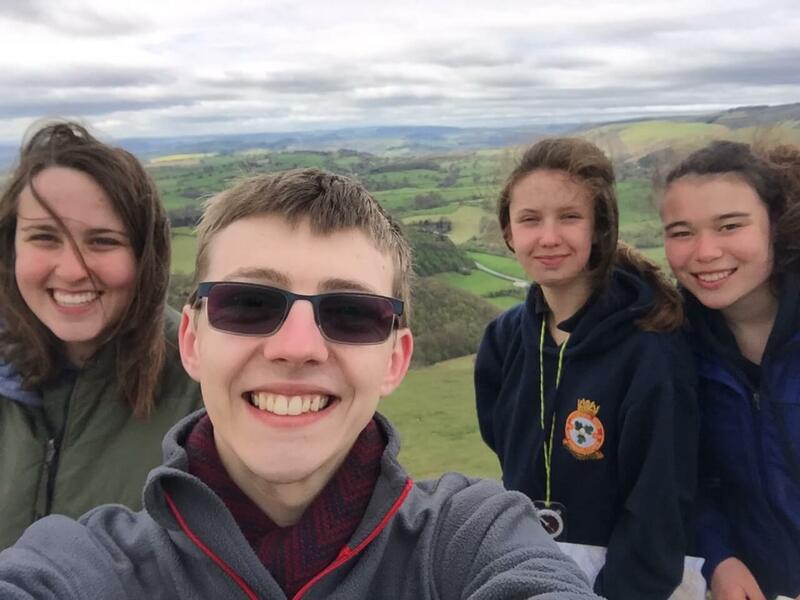 One of my personal highlights of the weekend was when the four of us from 2497 (Cosford) Squadron were sat together drinking hot chocolate in the evening – it was great to be able to relax. The second day began with an early start, but we were ready. We were the first to be packed away and ready to leave which really helped us get in the right mindset. The start of the day was really positive and the group worked together well. However, towards the end, we had to climb Ragleth Hill and this was exhausting. It was extremely steep and although we didn’t want to, we had to keep stopping. Getting to the top was a relief and despite the wind, we all enjoyed a crème egg to celebrate Easter. After this hill, it was pretty easy with much smaller inclines and a more gentle terrain. Below: at the top of Ragleth Hill. The biggest relief of the weekend was finishing. Not only was it great to be done and chill out but with many thanks to Flight Sergeant S. Preston and Flight Lieutenant G. Vince, we all got a well-deserved McDonald’s. Despite the tiring weekend I cannot wait to do the expedition and hopefully move onto Gold. Good luck to all those who are yet to do a practice expedition or do their expedition.